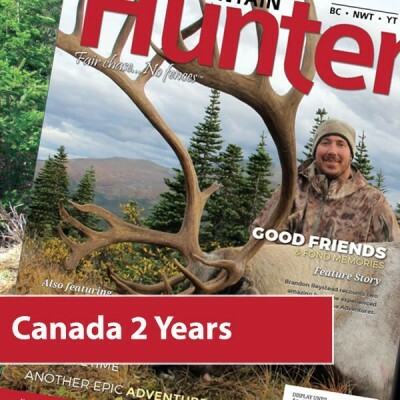 Mountain Hunter™ magazine is the flagship publication of the Guide Outfitters Association of British Columbia (GOABC). 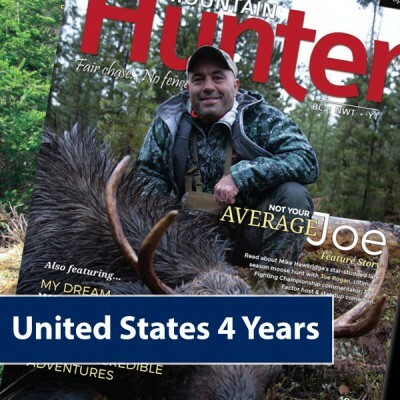 Produced three times per year, this full colour magazine is filled with stories from hunters from around the world that have fulfilled their dream of hunting with a guide outfitter in British Columbia, Yukon, and Northwest Territories. The GOABC was established in 1966 to represent the guide outfitting industry to government and advocate for science-based wildlife management. Today the association continues this mission, representing 60-70% of the guide outfitters in BC, Yukon and Northwest Territories. 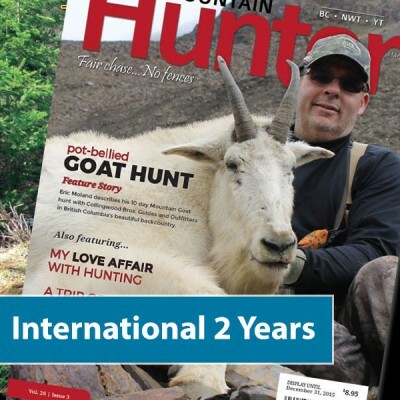 Please note: Clients who hunt with a member of the GOABC and pay the Wildlife Conservation fee receive a complimentary 1-year subscription to Mountain Hunter™. You can purchase your subscription using our online store. Just click on the 2 or 4 year subscription product for your location. The price listed includes applicable taxes and shipping and is listed in Canadian Funds. Once you have chosen your subscription, click on the checkout button to complete your order. We accept Visa, Mastercard or AMEX through our secure payment gateway. When you have completed your order, you will receive a receipt by email. Your subscription starts with the next magazine published. 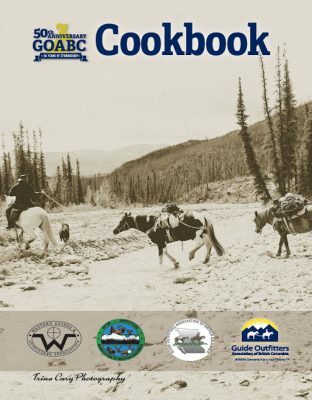 As part of the 50th Anniversary celebrations we commissioned and published a new 50th Anniversary edition cookbook full of recipes both old and new from our local camp cooks and guide outfitters. They were a great hit at the trade shows last year and we still have copies left for sale. 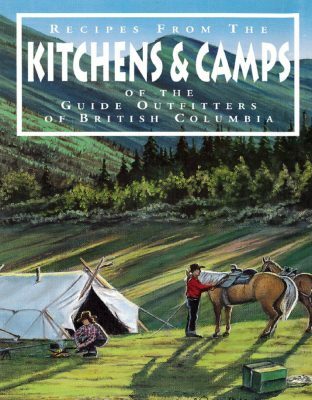 These cookbooks are full of wonderful recipes and would make a great gift for anyone who loves to cook, especially if they love to camp and cook outdoors. 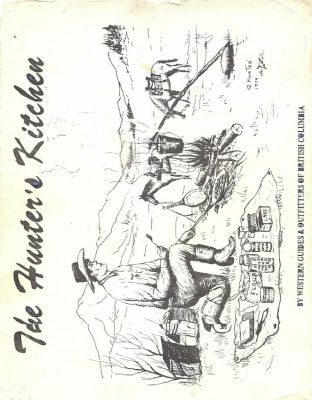 We also have copies of the original Hunter’s Kitchen Cookbook and the sequel “Kitchens and Camps” cookbook. We receive many requests for these books…. so they are sure to sell out fast! You can order your copy here online and have it shipped to your door. The shipping for anywhere in the US or Canada is $14.